The longer ambient version is really amazing. Best music I've heard from Jarre for years - love it! 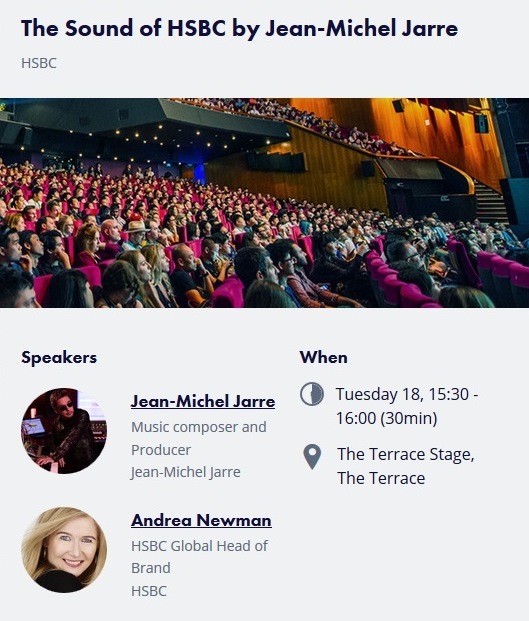 Come and hear an ear-opening conversation between Jean-Michel Jarre and HSBC’s Andrea Newman on how to create a global sound identity that can transcend language and culture to express a universal brand promise of prosperity. How can you create a global sound identity that will resonate with audiences in 67 different countries?